It’s more than a hashtag. Today on the Muck Rack Blog, Jennifer Post looks at How #MeToo and other trending topics impact the PR industry. TIME’s editor-in-chief Edward Felsenthal explains How We Chose the Guardians, and Jodi Kantor says, “This feature could easily be a publicity stunt or an empty honorific. 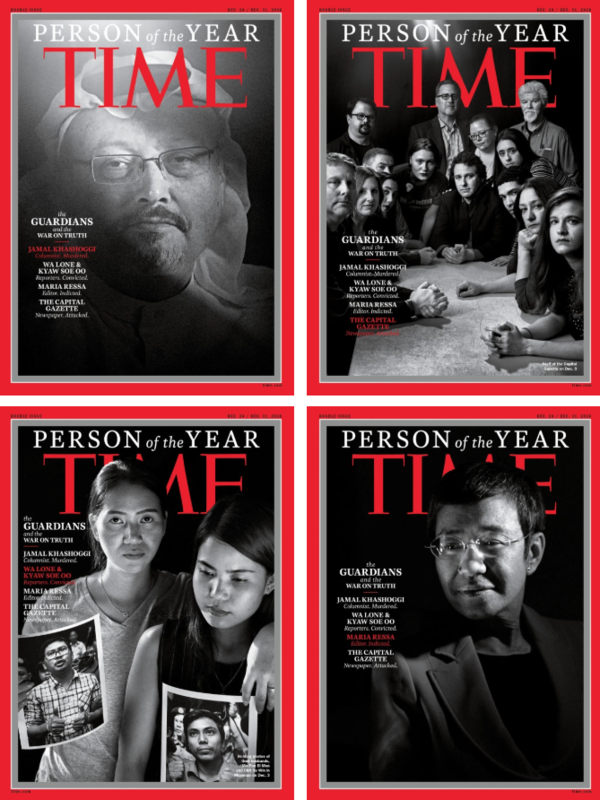 But @TIME’s choice is so meaningful, so moving, elevating voices of truth, helping them rise above the forces of corruption, violence, and chaos.” “Strong choice. The truth is under attack not just in America but around the world. In fact, journalists in authoritarian regimes yearn for the freedom reporters have here. A free press is the guardian of democracy -- everywhere,” notes Richard Stengel. At the Capital Gazette, Sarah Meehan highlights the Capital Gazette staff among the Time Person of the Year honorees. Rob Hiaasen, John McNamara, Wendi Winters, Rebecca Smith and Gerald Fischman were killed June 28 when a gunman broke into the newspapers’ Annapolis office. At ABC News, Pete Madden, Katherine Faulders and Matthew Mosk write that, while it’s unclear what Butina’s cooperation might entail, federal prosecutors have reportedly notified Republican operative Paul Erickson that he is a target of an ongoing investigation. Something that seems kind of important: FBI investigators found a handwritten note by Erickson that said, “How to respond to FSB offer of employment?” Chris Megerian thinks, “This sounds like the kind of thing you shouldn’t be taking notes about.” FYI, the FSB is the Russian equivalent of the CIA. “This isn’t something you see every day,” tweets Marty Kady. In an epistolary op-ed for The Washington Post, 44 former U.S. senators write to their Senate colleagues, We are former senators. The Senate has long stood in defense of democracy — and must again (57,000+ shares). Daniel Victor calls it “Inspiring: A group of U.S. senators worked together to reach the word count of their essay. Gotta think they squeeze at least a C+ out of this.” But Will Stancil explains: “I made a bot read 4,000 Jeff Flake speeches, and then made it write an op-ed. This is what happened.” Tweets Sam Haselby, “They can say whatever they like, but their history is wrong. The Senate stood for slavery. It stood for Jim Crow. It stood for McCarthyism. It’s not a democratic institution and these people are lobbyists now, working for anti-democratic groups.” Also, for the record, “It must be said, as others have, that this is really, really *really* poorly written,” notes Megan Murphy. “Meanwhile, in the real world outside of WH chief-of-staff news →” Nancy Cook directs you the reporting by Coral Davenport of The New York Times: The Trump administration is preparing to unveil a plan that would weaken federal clean water rules that were put in place “to protect millions of acres of wetlands and thousands of miles of streams nationwide from pesticide runoff and other pollutants.” Because of course they are. Sky News has ongoing live coverage as the PM holds talks with European leaders. In a new “Price of Climate” piece for The Wall Street Journal, Russell Gold explains why Harvard Has Been Quietly Amassing California Vineyards — and the Water Underneath. “It's like Chinatown, only real and right now,” tweets Matthew Rose. From the Columbia Journalism School, the 2019 Alfred I. duPont-Columbia Award Winners Have Been Announced, with a record number of wins for programs by and about women. FRONTLINE PBS won the first Gold Baton awarded in a decade, and CNN and WNYC each won two awards. Congrats to all the winners! Yesterday we asked: Germany’s Princess Gloria Von Thurn und Taxis met her future husband in Munich as she was on her way to a concert. What band was she going to see? Answer: Even though she was also known as the “punk princess,” she was off to indulge in a little prog rock at a Supertramp concert. Your question of the day for today is…Zack Ward is the C.E.O. of Global Sports Financial Exchange, Inc., but he says he’s most recognized for his performance in what movie? 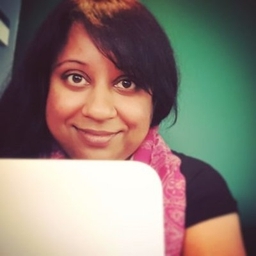 Today’s featured journalist is Suchandrika Chakrabarti, a freelance journalist, “newsroom escapee, now writer-at-large” based in London. Her bylines have appeared in The Guardian, New Statesman, Scottish Daily Record, SYFY and elsewhere, and she also hosts the Freelance Pod, where creative guests discuss how the internet has revolutionized work. Head over here for links and to see some of her work.